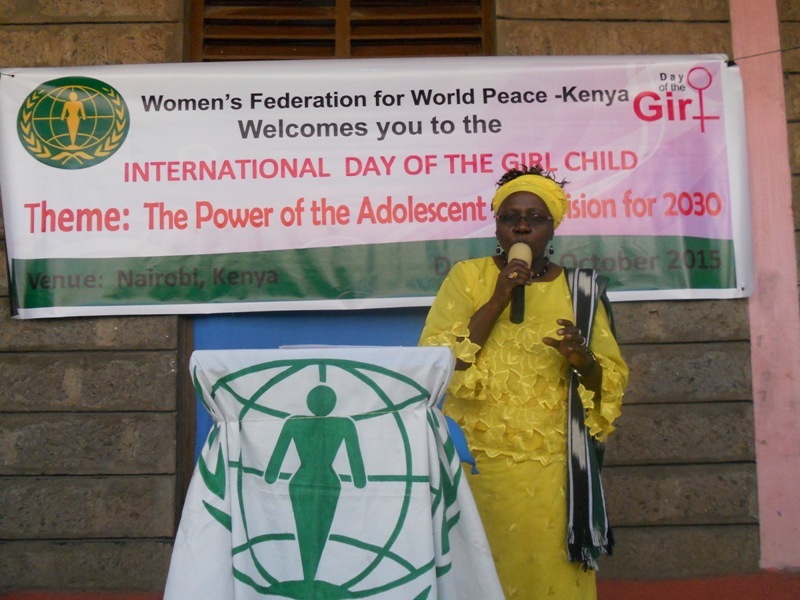 By WFWP Kenya: We held the commemoration of the International Day of the girl child at the Kayole Girls Rehabilitation Center in Nairobi on October 31, 2015. 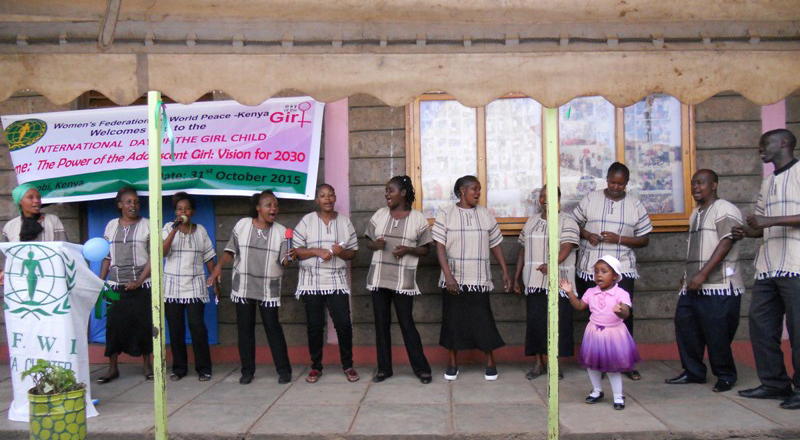 This commemoration was inspired by the United Nations General Assembly which on December 19th 2011 adopted Resolution 66/170 to declare the October 11 as the International Day of the Girl Child to recognize girls` rights and the unique challenges girls face around the world. 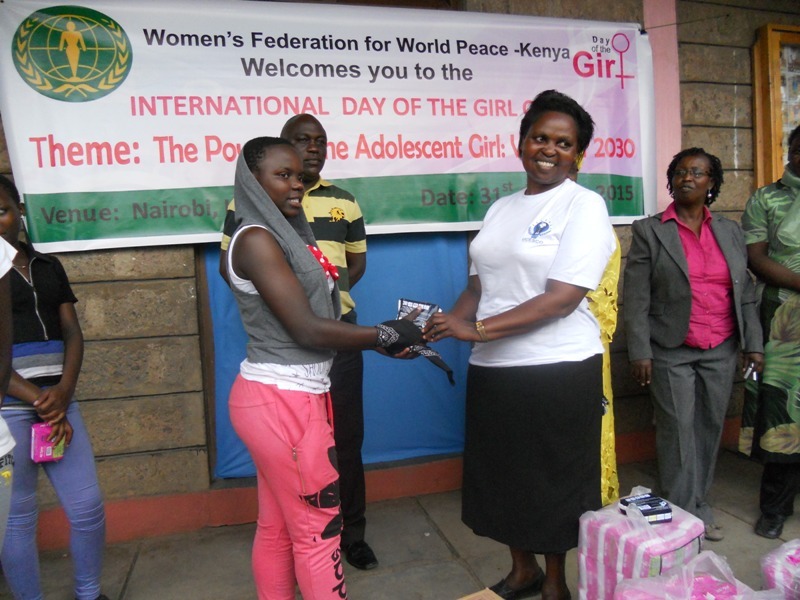 The occasion in Kenya was grace by the various community leaders and leaders of various NGOs, CBOs also 2 girls` schools were represented. 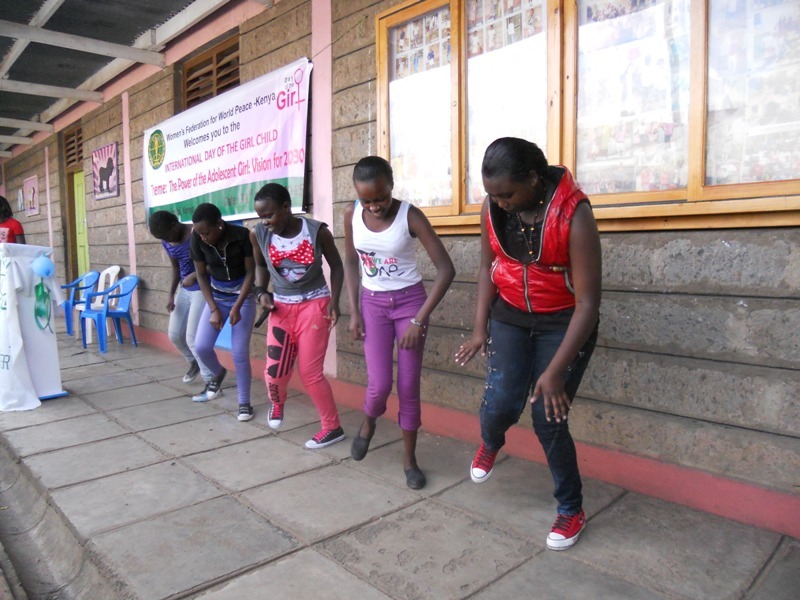 The entertainment was from the girls` rehabilitation center, St Thaddeus Child Care Society School, Strength of a Woman CBO and various other youth groups. 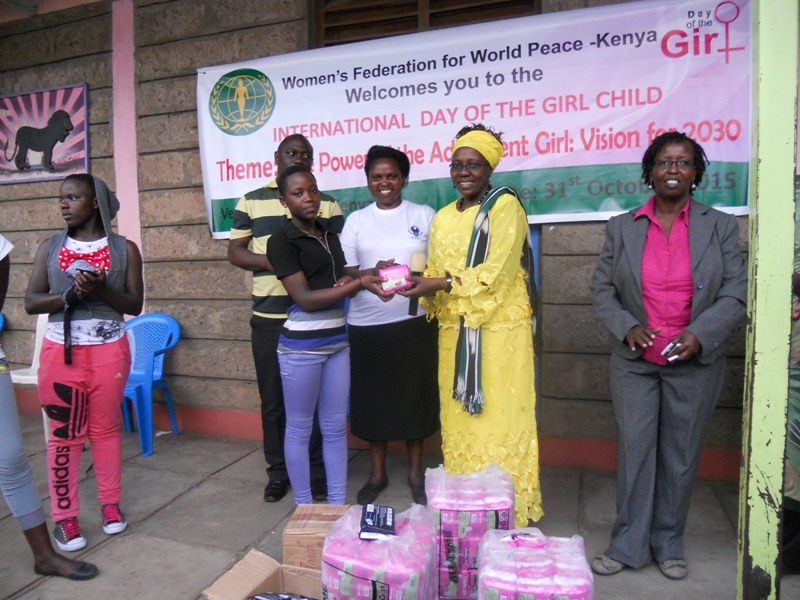 It was a happy event and the girls participated in cutting the cake and they also received sanitary Towels donated by the WFWP Kenya. 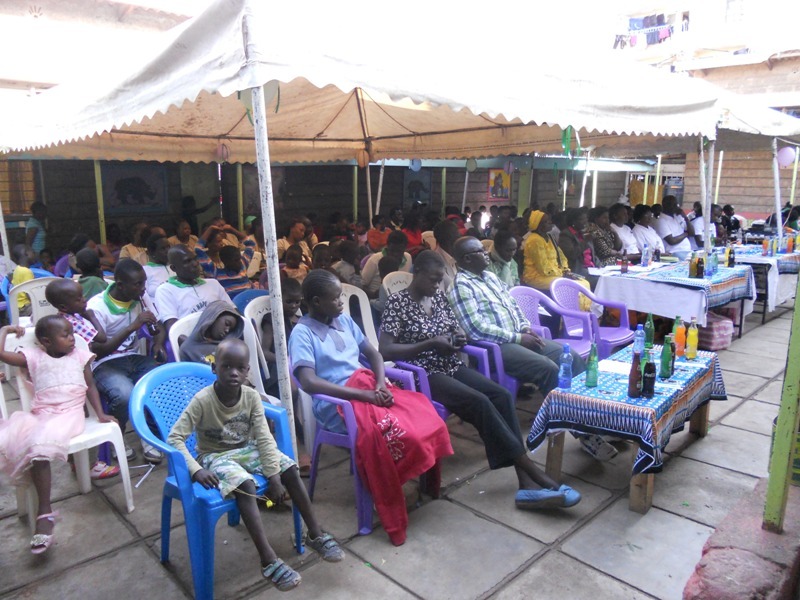 This event was a happy event and a golden occasion to teach the participants the vision of the Founders of WFWP and the Vision 2020. 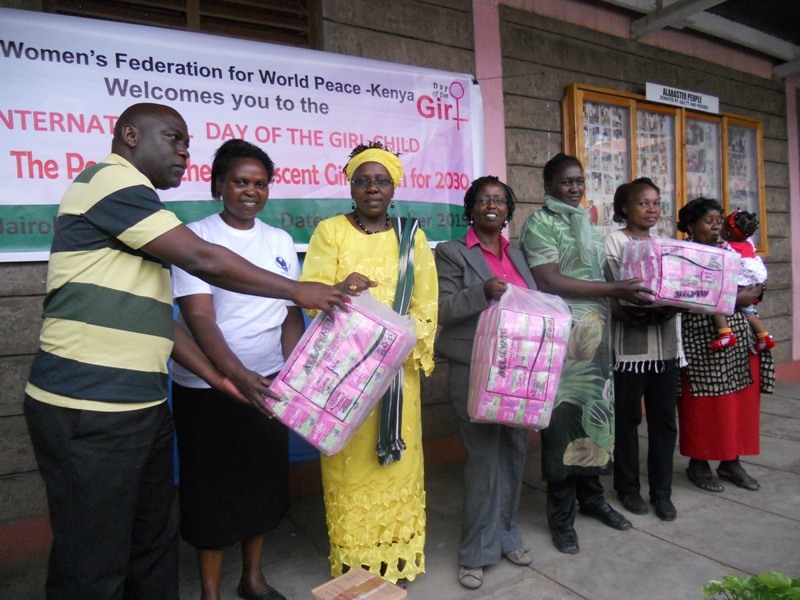 The Director of the center Mr. David Arika on behalf of the girls thanked WFWP for holding the event in the center and also for Kind donations. 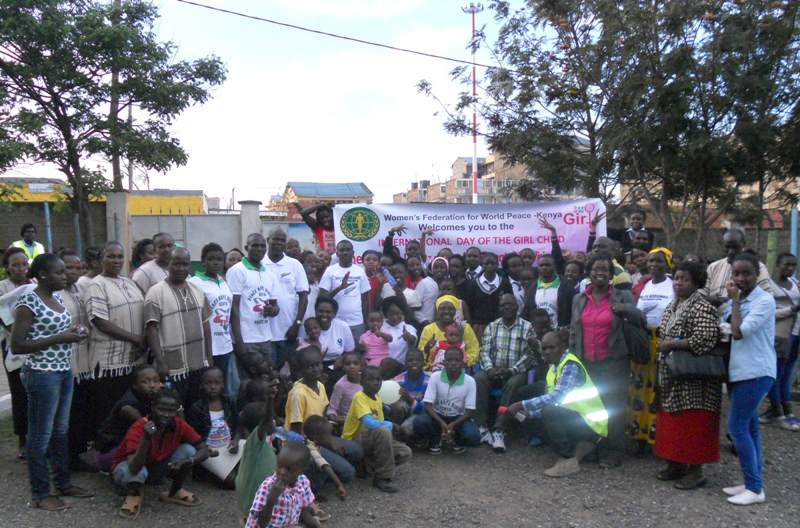 In total there 153 participants.